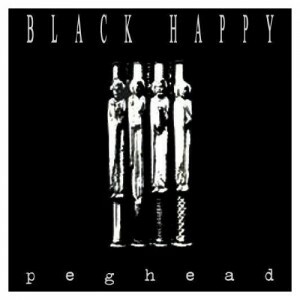 Black Happy was a band from northern Idaho, with some popularity in the early 1990s. Especially in northern Idaho, Moscow and the area more specifically. I must have drove my roommates in college completely insane with how much I listened to their CD Peghead. I listened to that thing over and over. When Black Happy broke up, I attended one of their last concerts, in Spokane I think (though it may have been Seattle after I moved there for grad school). They were even better live (not too many bands that can claim that), with people slam dancing pretty much the entire night. I went with a buddy who was significantly bigger (taller, stronger) than most and he got into the slam dancing. Maybe a little too much. For me, the thing that made Black Happy distinct and special was the fast paced music, the fast lyrics, and the killer horn section that accompanied the more traditional guitar, bass, and drums. I listened and listened to that CD, but never really listened to the lyrics. I recently pulled my CD out and gave it another “spin”, and listened a bit more carefully. 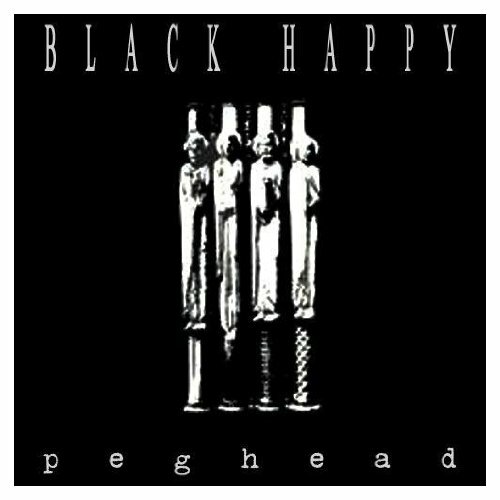 Black Happy grew out of another band that was Christian metal. Not that I really knew that back when I was listening to Peghead so much. And maybe back then, in my college days, I really wouldn’t have cared. I was more religious myself back then. I went to church regularly and even joined a Bible study group. However, with time, I just realized that, for me, religion held no answers. The answers I sought, to the big questions of the universe, always ended with “God” in religion, and that wasn’t satisfying. So, I moved on. Clearly, they had some issues with liberal politics. That said, when all is said and done, I can simply recognize the fact that these are some damn fine musicians, who played with more energy and passion than anyone in the top 40. Do I disagree with their politics, their world-view? Sure. But I can also just enjoy listening to some great music. Besides, I have more than enough songs in my playlist which represent the other side of the divide. In a split second, that voice, that laugh is gone. filling our hearts with despair. pulls us back to the light. and all that still is. Society is constantly having to relearn this lesson, especially as technological advances give us more and more power in new and different realms. Harnessing the power of the atom has given us both nuclear energy and nuclear weapons. Medical advances have allowed us to extend life, even create life such as so-called test tube babies. Genetically modified food offers great hope to help feed the world but also the dangers of Franken-food. And the internet has revolutionized how we communicate, both for good and bad. One of the next big frontiers of science is neuroscience, the science of the human brain. By understanding how the brain works, we are understanding more about how we function, why we behave the way we do, and what differentiates each of us. We are now at the point that we can, using a brain scan, know if we are looking at the brain of a psychopath or a normal person. If you think about it, this is tremendous power. 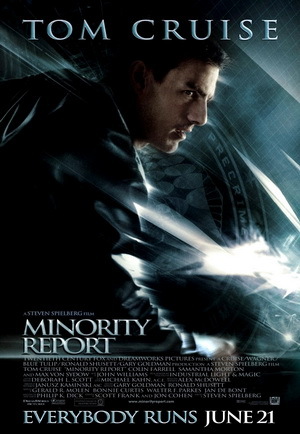 This is probably as close as we will ever come to Minority Report, being able to tell if someone is likely a criminal before they ever do anything. Think about it. If a psychopaths brain is truly different from the rest, a brain scan will identify who is a psychopath before they do anything to harm anyone. We would know if they have the potential for becoming a psychopath. And we might even be able to do that scan when they are a child. Given that we could, in principle, do such a scan and identify potential psychopaths long before they become psychopathic, what should we do with that power? Should we scan everyone’s brains, and closely watch those that are likely to become psychopaths? This seems a huge infringement on personal liberty, but if it prevented the type of massacre that occurred in Norway, might it be worth it? On the flip side, if psychopaths and other sociopaths truly have a different brain structure, how much of their actions are they really responsible for? If it is all brain chemistry controlled by genetics, should we all be thankful we have normal brains? Should we try to identify these people so we can find some way to treat them so they can lead normal lives? 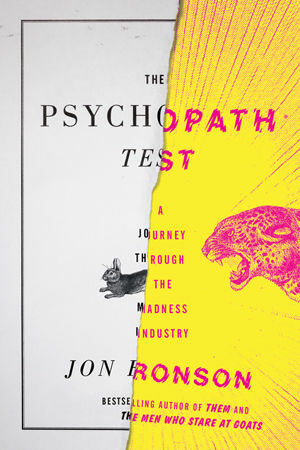 And, finally, consider the fact that there is a very fine line between psychopathy and genius. 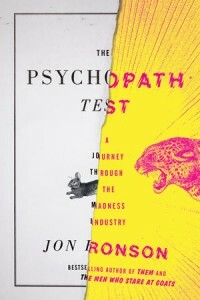 Studies suggest many of the top CEOs exhibit psychopathic traits. If we somehow controlled the behavior of presumed psychopaths, would we be impacting other areas of society, including business and politics? I have lots of questions and no answers. I think these types of questions will soon confront us. And technology is advancing at a pace that is much faster than at least our political and legal systems can keep up with. We will be faced with a future where people who barely understand the implications of the science, much less the science itself, are placed in a position of trying to address these questions. I think the sooner society as a whole dwells on them, the better able we will be able to deal with them.